Bright, Airy, Spacious living area with cabled TV. Open plan Kitchen to living area as well as covered deck. Bedroom with double bed, access to balcony and views of the mountain, village and ocean. Covered deck - access from living area and kitchen. Views of the mountain and garden. Perfect for breakfasts and sipping cocktails at sundown. 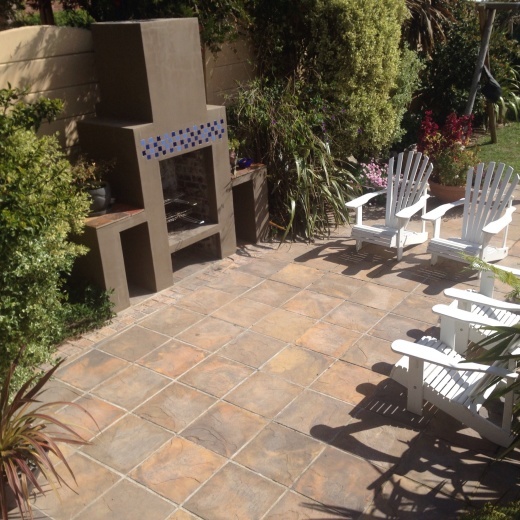 Barbecue on lower deck or an area to absorb the Cape Sun. Berg Residence is a two bedroom, two bathroom home with an open plan, fully equipped kitchen to the dining and living area as well as to the enclosed deck. The deck is ideal for having breakfasts or sipping cocktails at sundown. The main bedroom is opulently furnished with good quality linen. A special feature of this room is that it has direct access to the balcony with perfect views of the mountain, village and ocean. It also has a television. The second bedroom has twin beds and is located downstairs - very private bedroom. The lounge and dining area is bright and airy and is perfect to unwind, watch television or step out onto the balcony and enjoy the views. 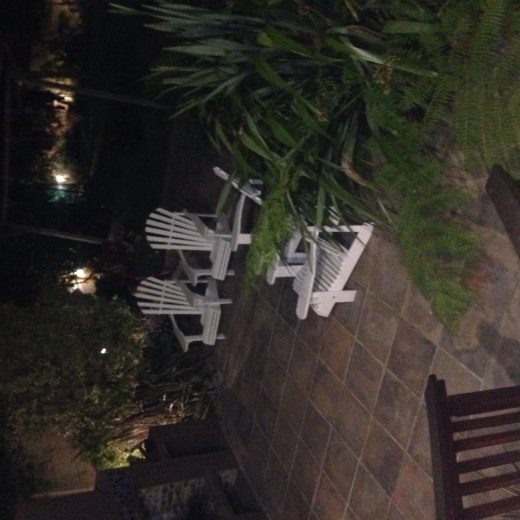 The property is located on the mountainside and is also surrounded by mountains. It is near tourist attractions and scenic drives. The penguin sanctuary, baboons, walking trails, shark cage diving, family beach and the most southern tip of Africa are all key attractions in the area. 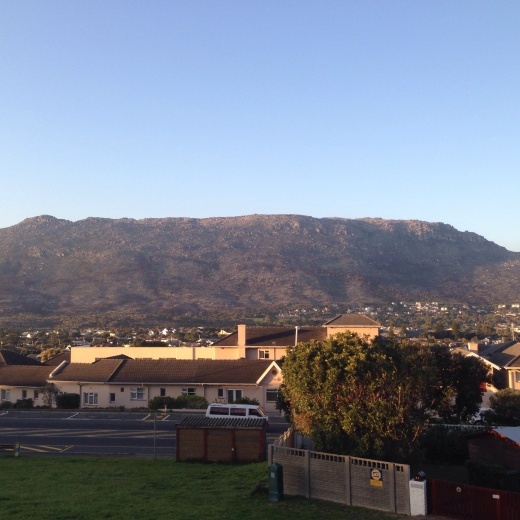 Fish Hoek is quaint and cosy.